Total Video Converter for Mac is a powerful DVD burner which enable you to convert video to DVD format at high speed with perfect output quality and brun it into DVD disc on Mac. 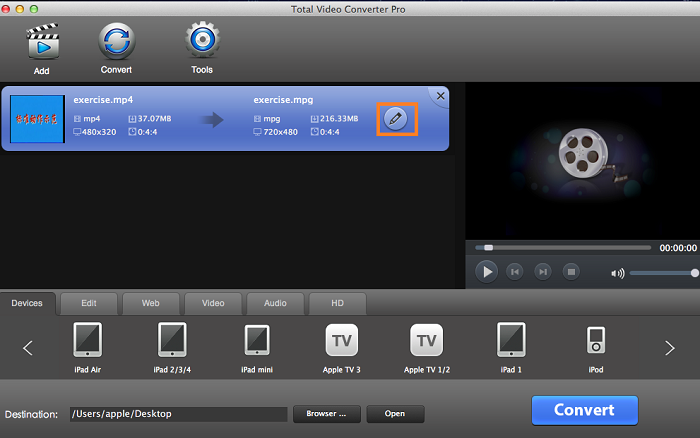 Current Page:Home > Mac Total Video Converter > How to add effects to your video(s) on Mac? Have you ever been amazed by some beautiful videos with special effects? And do you want to make your own videos so gorgeous? How can I do if I want to rotate my videos 90 degree? And How can I do if I want to add some special effects to my videos to make them more attractive? Which applacition can I use to meet my needs? 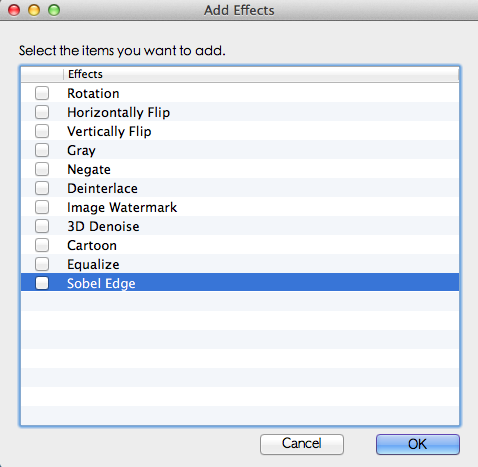 This tutorial is show you how to add effects to your video(s) on Mac OS X. Step 3: Tap "Effect" and click "Add Effects" to add the effects! 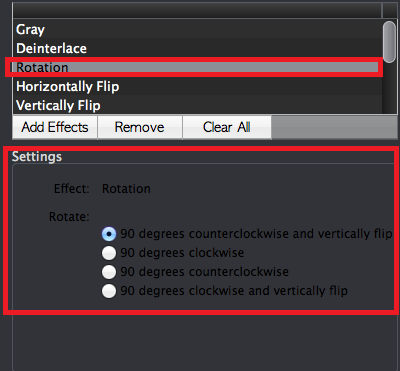 Select a effect, you will see such interface where you can set attributes of the selected effect. 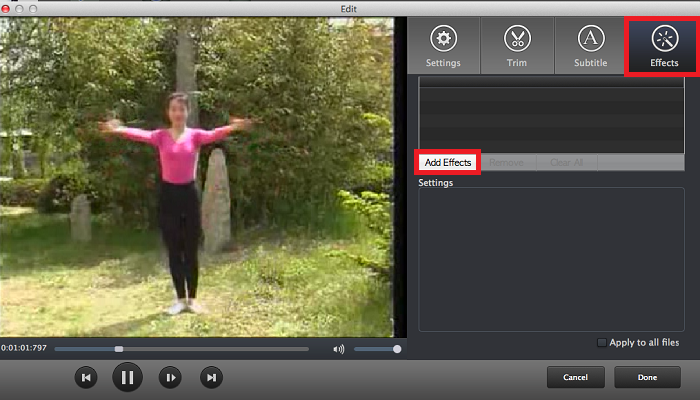 When you add some effects to your video,you can preview them on the left site of the window by clicking "Play" icon! Click "Done" when you added the effects ,you will back to the Main Window. Then Click "Convert" and wait for a few minutes. When the conversion finished, the Destnation folder will be opened automatically. How to convert video audio on Mac?